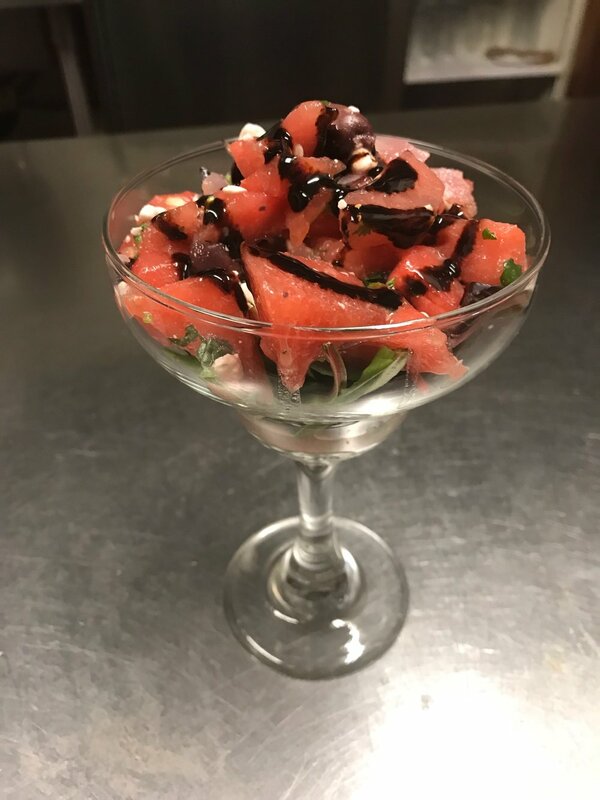 Located in downtown Redding, California Cafe Paradisio brings a globally inspired Menu with a focus on Italian and California cuisine. Cafe Paradisio has been one of downtown Redding's best kept secrets for over 6 years, providing a comfortable, relaxing environment while striving to source the highest quality in fresh, local, organic ingredients, wild-caught seafood and all-natural beef and poultry to support the seasonally refined menu. 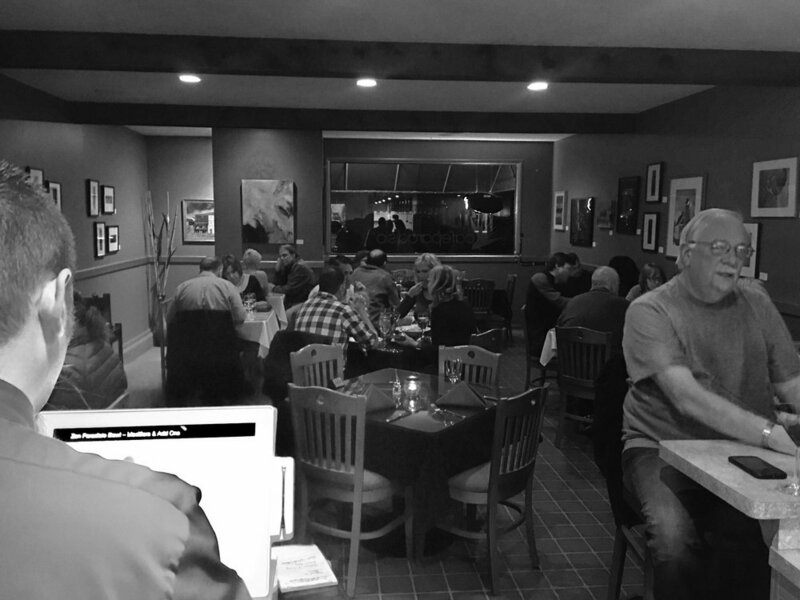 A rotating local art gallery lining the interior, live jazz music on Friday’s, excellent customer service, refreshing Chef special’s and a fine wine/beer menu are just a few examples of what to look forward to. 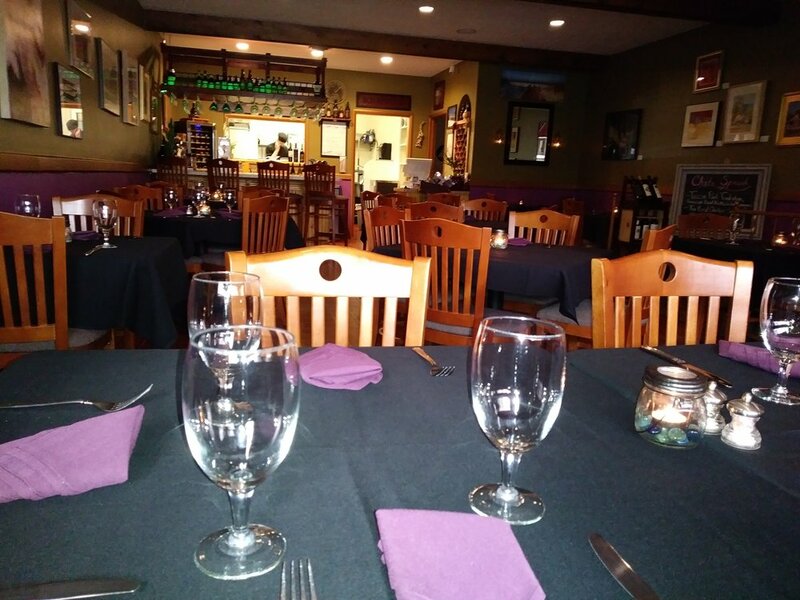 A Redding native for over 20 years, owner Marshall Glashan and Chef Travis Overholt strive to provide the highest quality dining experience for our beloved community to enjoy, as well as our many traveler’s passing through. We look forward to seeing you! 1270 Yuba St off Pine St.
11:30am to 2:30pm Monday ~ Friday. Organic Mixed Greens, Cajun Shrimp, Pico de Gallo, Black Beans, Pepper Jack, Crispy Tortilla Strips, Serrano Ranch, Lime. Gluten Free. Organic Baby Spinach, All Natural Grilled Chicken Breast, Cashews, Fuji Apples, Craisins, Feta, Orange Cider Vinaigrette. Gluten Free. Organic Mixed Greens, Wild Alaskan Salmon, Olive Tapenade, Feta, Artichoke Hearts, Cherry Tomato, Pepperoncini, Italian dressing. Gluten Free. Organic Mixed Greens, Thinly Sliced Steak, Bleu Cheese Crumbles, Craisins, Cherry Tomato, Pickled Red Onion, Bleu Cheese Dressing. Gluten Free. Organic Romaine, All Natural Grilled Chicken Breast, Chimichurri, Avocado, Cherry Tomato, Red Onion, Colby Jack, Serrano Ranch, Lime. Gluten Free. Organic Mixed Greens, Red Beets, Goat Cheese, Fuji Apples, Candied Walnuts, Pickled Red Onion, Dill, Balsamic Reduction. Gluten Free. Slow Roasted Pork, Chimichurri, Pico de Gallo, Cilantro-Lime Slaw, Crema, Pepper Jack Stuffed Corn Tortillas, Lime. Gluten Free. Wild Alaskan Cod, Cajun Rub, Pineapple Salsa, Cilantro-Lime Crema, Slaw, Corn Tortillas, Lime. Gluten Free. 5- 9pm- Monday, Wednesday, Thursday. 5-10pm- Friday & Saturday. HAPPY HOUR 5-6PM! Sweet & Spicy Shrimp, Pineapple Salsa, Jasmine Rice, Green Onion. 1 lb of Clams in a White Wine, Garlic, Butter Broth with Parmesan. Gluten Free. Organic Mixed Greens, Olive Tapenade, Feta, Artichoke Hearts, Cherry Tomatoes, Pepperoncini, Italian dressing. Gluten Free. Organic Mixed Greens, Goat Cheese, Candied Walnuts, Fuji Apples, Pickled Red Onion, Dill, Balsamic Reduction. Gluten Free. Wild Alaskan Salmon Baked on a Cedar Plank with Honey Dijon Glaze, Brown Rice Pilaf, Seasonal Vegetables. Gluten Free. Sun-Dried Tomatoes, Cremini Mushrooms, Garlic, Marsala, Cream, Parmesan over Penne Pasta. (Vegan-Vegetarian-Gluten Free) Marinated Organic Tofu [Sauteed or Fried], Red Curry, Coconut Milk, Ginger, Mixed Vegetables, Jasmine Rice.